Canada in the winter may stir up images of snow-capped mountains, of people huddled together to keep warm and of a place you wouldn’t want to visit unless you were wearing a snowsuit and carrying skis. But we ventured to Toronto sans skis, snowsuit or even a scarf – and returned with plans to visit again next winter. Perhaps those Canadians try to scare us with their tales of winter in Toronto so they can keep this lovely city all to themselves? But with a brand new urban ice-rink, tons of kid-friendly yet trendy restaurants and free things to do in Toronto with kids, we refuse to stay away. 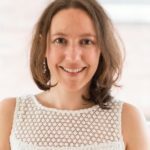 Canada has a reputation for being absolutely freezing – and some places in Canada deserve that rep. But you have nothing to be scared of in Toronto. In January, the average high is 31F, while the low is 19. 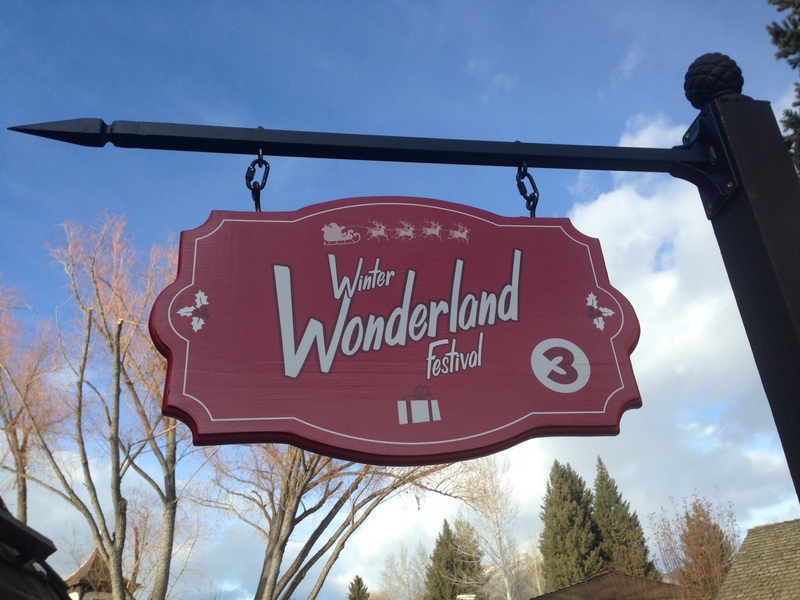 We were there in the beginning of March, when it hit 50 degrees, and it was pleasant to wander around for hours. This is one of the coolest things ever. Faced with an empty (ugly!) 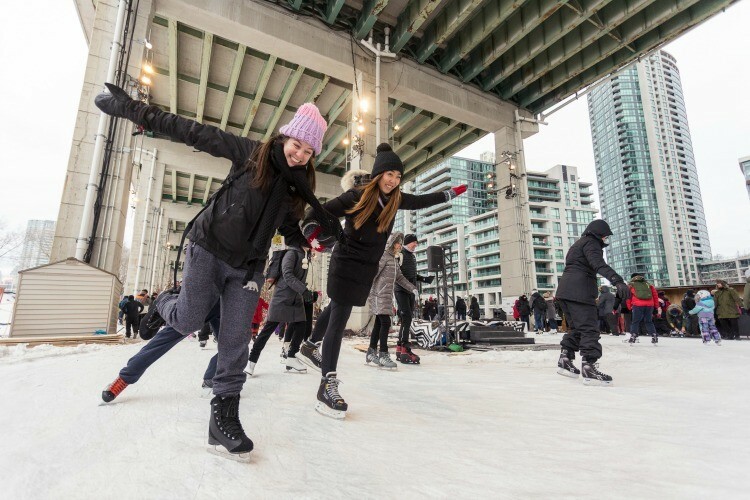 space under the Gardiner Expressway where few tourists – or anyone really – visited, they created an ice rink called The Bentway, named after the columns or bents holding up an expressway. It turned a blighted area into a super cool urban ice rink. You can rent skates, listen to music, try pop-up curling and list to weekly DJ parties while you skate. As soon as the weather warms, The Bentway skating rink closes for the season. 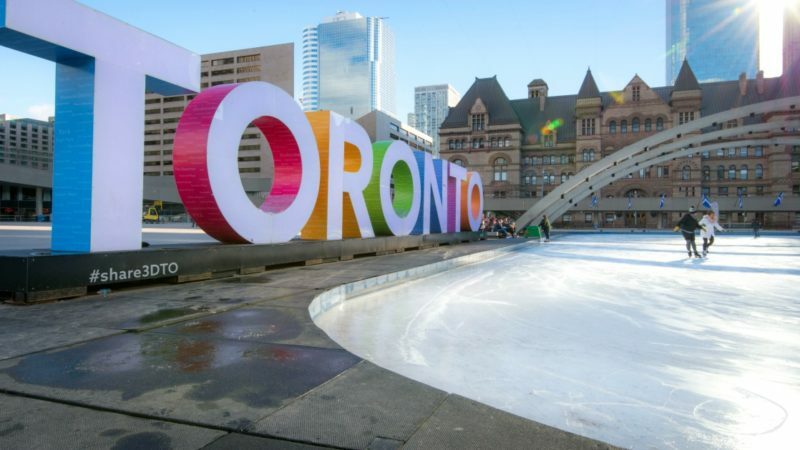 Many big cities have an ice rink in the center of the city, but none do it as well as Toronto. With the Instagram-worthy “Toronto” sign and city hall in the background, this one manages never to get too full, unless you’re there on New Year’s Eve, which is expected. And here’s even more to love about skating here: It’s $5 Canadian (about $4 in the US currency) for kids 12 and under, and $10 for adults. You can also rent helmets for $8. You simply can’t do a 3-hour cycling tour in the summer. It would be too hot. But with a soft poncho, hand warmers and the warmest gloves ever (all three provided by the Toronto Biking Tour), you won’t even feel the chill as you cycle around Toronto’s totally bike-friendly neighborhoods. The Toronto Biking Tour welcomes kids as young as 12 months to take part (no experience necessary, even for adults), and we happily obliged. Our guide provided child-size bikes (he asked for our measurements via email long before we left for Toronto), but if you’re cycling Toronto with kids for three hours, we’d recommend the optional bike trailers or tandem bikes for anyone younger than 12. Even the adults were winded when it was done, and although our kids don’t complain about anything and love to cycle for three hours (kidding, obvi), they needed tandem bikes. We cycled through one of six Chinatowns, through the totally hip Kensington Market, past the lakefront, around ice-skaters at Nathan Phillips Square and we whizzed through the financial district. This was my favorite way to explore Toronto and learn about the neighborhoods. Toronto is a hot spot, especially in the summer, when so many of the hottest hotels will be booked months (years!) ahead of time. Not so in the winter. 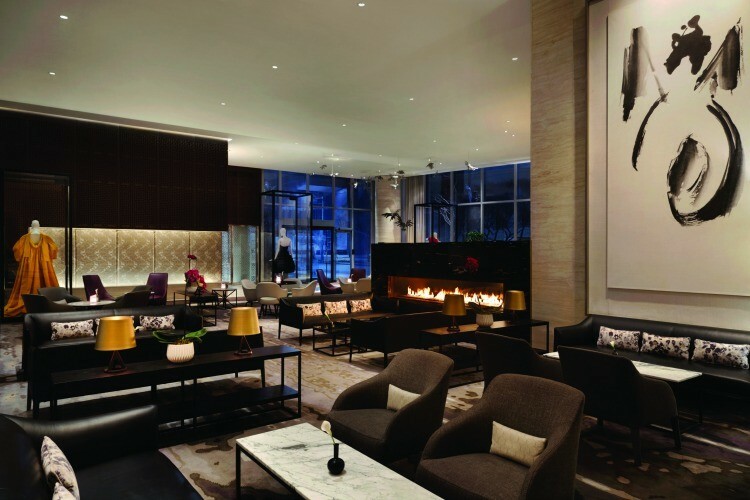 We stayed at the ultra hip Shangri-La Toronto, which is surprisingly perfect for families. We were skeptical at first, considering how quickly the lobby filled up with the trendiest of Toronto’s trendy people in the evening, dancing to the live music every night. But our room was completely silent, which meant that you could even do the cry-it-out method in this hotel without disturbing your neighbors. A crib was in our room when we arrived, along with baby shampoo, conditioner and baby powder. If you truly don’t want to go outside, you really don’t have to go outside. Toronto has a PATH: A pedestrian walkway in downtown Toronto that spans more than 30 kilometers, so you can walk through restaurants, stores, entertainment, public transport and other services without going outside. There’s also a mall that’s the biggest one I’ve ever seen. Toronto Eaton Centre has more than 250 stores. You can easily shop for days. Toronto has such a thriving restaurant scene, that it’s worth it to fly here just to eat. Our fave was one that doesn’t seem like it would be kid friendly. But it was. Bar Raval is a tapas restaurant that is completely packed and was quite possibly the best tapas restaurant we’ve tried (I’d fly back to Toronto just for the fried eggplant in honey and sage), and they welcome all children. We even spotted a baby who couldn’t have been older than 4 months, who was handed around to every diner. Yes, Toronto has a fantastic aquarium, children’s museum and science centre. But in the winter, Toronto also has something no other place has: The Toronto Light Fest at the Distillery. There are massive outdoor lights in the shape of a head, an interactive piano you can play that will light up the sky to the tune of your notes, lights that appear with every step you take, even a light structure made from gummy bears (no, you can’t eat these). It’s just as magical for adults as it is for children. Our guide for the Culinary Adventure Company said we were able to eat as much as we did during the 3-hour food tour because we were popping in and out of the cooler outdoor air between restaurants. I’m not sure if there’s any legitimacy to his theory, but he does these food tours daily, so he must know what he is doing. For our sake, I’m thrilled that we were able to remain hungry enough to devoir the freshly baked croissants, the best chocolate chip cookie ever, the double-smoked bacon pizza, the Nutella donuts and more during our brunch food tour. You know that weird sport from the Olympics? 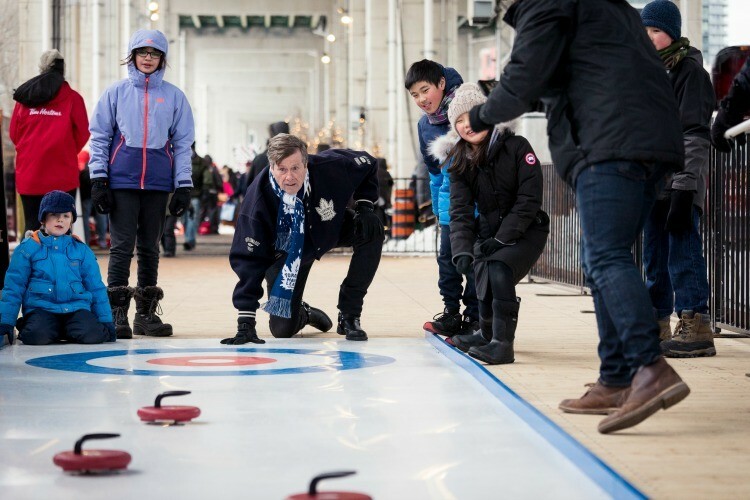 It’s basically Toronto’s baseball, so if you visit during winter in Toronto, don’t miss the chance to take in a curling match. 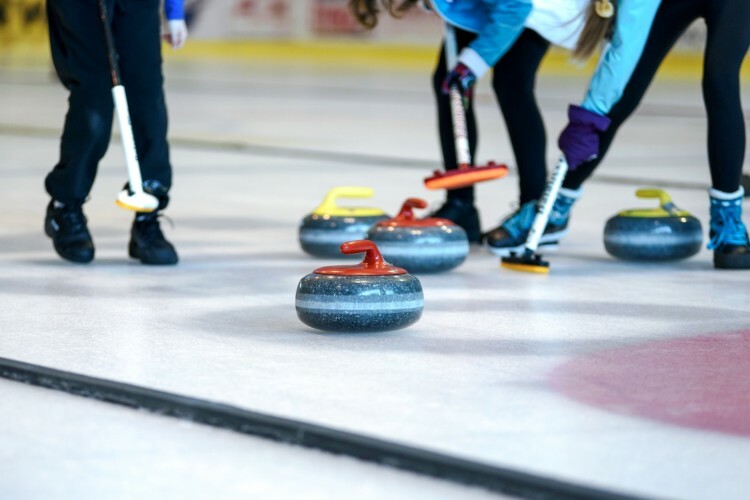 Curling season runs from November through April, and it’s something you rarely see anywhere else. 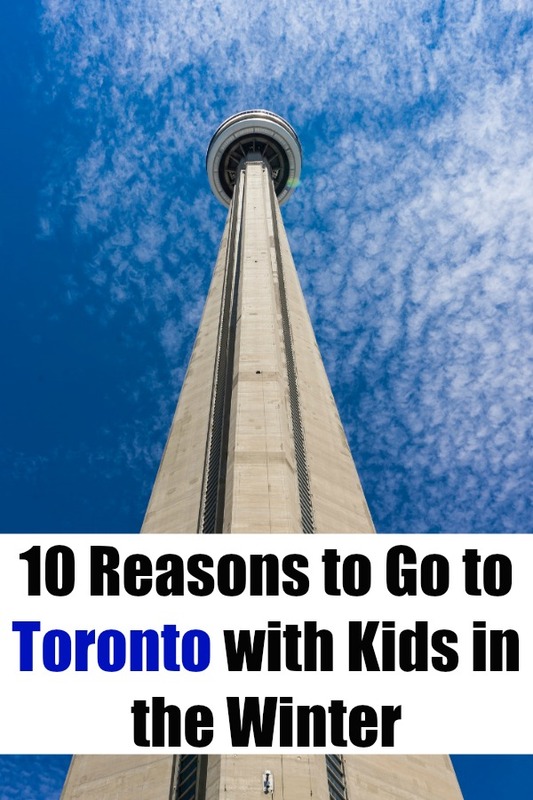 For more family fun in Toronto, check these things do on a weekend in Toronto and these free things to do in Toronto in the summer.